The Justice Department's antitrust chief Makan Delrahim said on Thursday his "line is always open" if AT&T decides it wants to settle the case the government has brought to stop the telecom giant's acquisition of Time Warner. "We are the Justice Department. We don't try to litigate to win, we just want to solve a competitive problem," Delrahim told reporters on the last day of testimony at the US District Court for the District of Columbia. But Delrahim noted he's "not expecting anything" and that "I never would bring a case I don't think I could win." Asked if there will be a settlement, Delrahim said "I have no reason to think one thing or the other." The two sides are likely far apart; Delrahim favors structural remedies, such as AT&T spinning off Time Warner subsidiary Turner, which includes CNN, while AT&T had advocated for behavioral remedies, like an agreement to arbitrate carriage disputes with other cable and satellite companies. Delrahim confirmed a Vanity Fair report which said that AT&T and Time Warner lead attorney Dan Petrocelli called him the weekend before opening arguments to talk about the possibility of a settlement. Delrahim, however, said the report included some "embellishments" and indicated the conversation did not go very far. "Dan [Petrocelli] said I just want to make sure we have an open line in case we attempt to settle. I said my line is always open," Delrahim said. 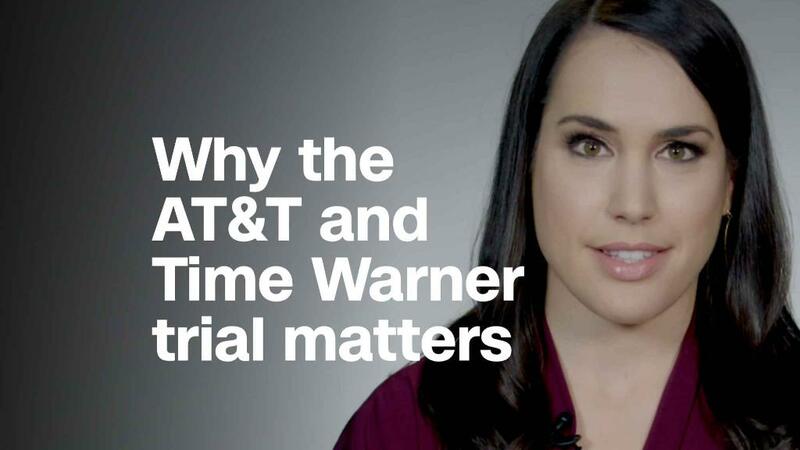 The government sued last year to stop the $85 billion deal because it believes AT&T would use Time Warner content to exert unfair leverage over its competitors in the pay TV arena. AT&T and Time Warner say the deal is necessary to help the newly merged company better compete with the likes of Facebook, Apple, Netflix and Google who are all entering the content arena. Asked how he would react if Judge Richard Leon decides to approve the merger but with certain conditions, Delrahim said he'd have "to see" what it is. In court on Thursday, Leon slammed the government's attempts to enter into evidence hundreds of pages of documents on the last day of testimony. After hearing from the final rebuttal witness in court on Thursday, lead Justice Department attorney Craig Conrath asked the judge to take "judicial notice" of several AT&T and DirecTV filings in proceedings with the Federal Communications Commission. Conrath said AT&T in some of these documents advocated against the exact type of merger they are attempting with Time Warner. Leon noted that the documents were at least "four inches thick" and called on Conrath to isolate exactly which statements he wanted to admit. "This is a dump on the court," Leon said. Petrocelli said that he could provide an equal number of documents that show the government advocated for the exact sort of remedies that AT&T and Time Warner have offered, pointing to the Justice Department's 2011 settlement with Comcast and NBCUniversal. In that settlement, Petrocelli said the Justice Department advocated similar remedies that AT&T is proposing now. "It would be a manifest injustice" to include the filings, Petrocelli said, noting that several of them had already been debated in pre-trial conference. Leon had already blocked at least one of the documents from being entered as evidence. Leon ultimately said that because of the potential need hold extra hearings in which documents would be admitted, the Justice Department would not be allowed to use the documents in their closing arguments. Thursday marked the final day of testimony in the case. Court is not in session on Friday; it will resume on Monday, when closing arguments will take place beginning at 11 a.m. ET. Each side will have one-and-a-half hours for their closing argument, followed by 15 minutes for a rebuttal by the DOJ. As he closed out Thursday's session, Leon noted the magnitude of the case and said "both sides deserve a round of beer."